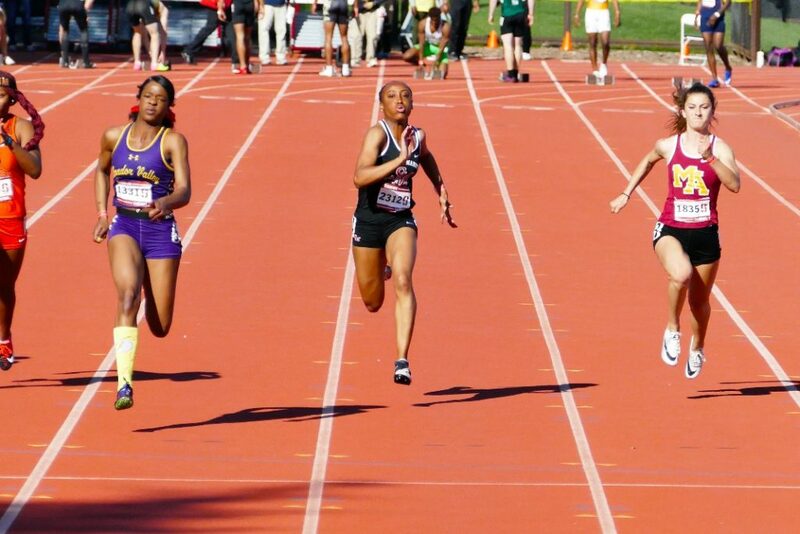 A year ago, the girls 4 x 100 team out ran even their most ardent supporters’ expectations to make the state meet final. Thus far this year, with scheduling interruptions and various other obstructions, the team had yet to put it’s best quartet forward in a meaningful race. 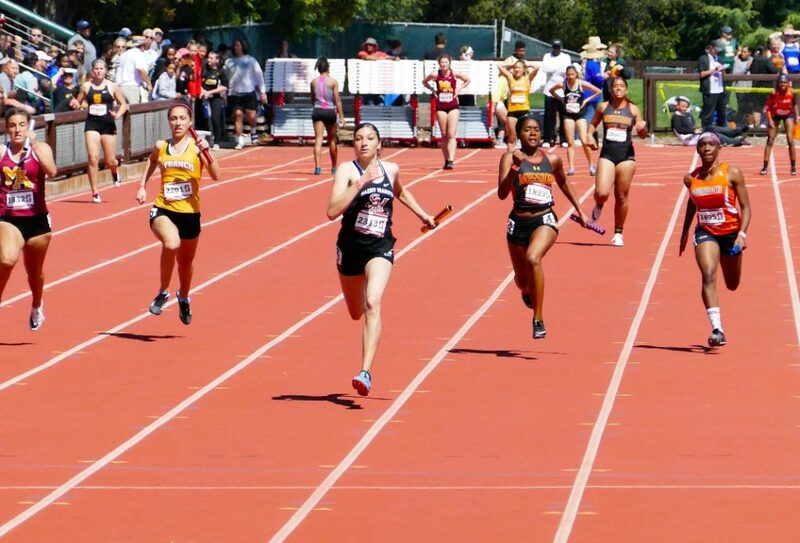 That all changed on Saturday at Stanford, widely considered one of the two most competitive meets in Northern California in a given track season. The foursome of Kaia Gant-Hatcher, Sophia Alexander, Maddie Dwyer and Sofia Bailey ran away from the field to win convincingly in 48.50. 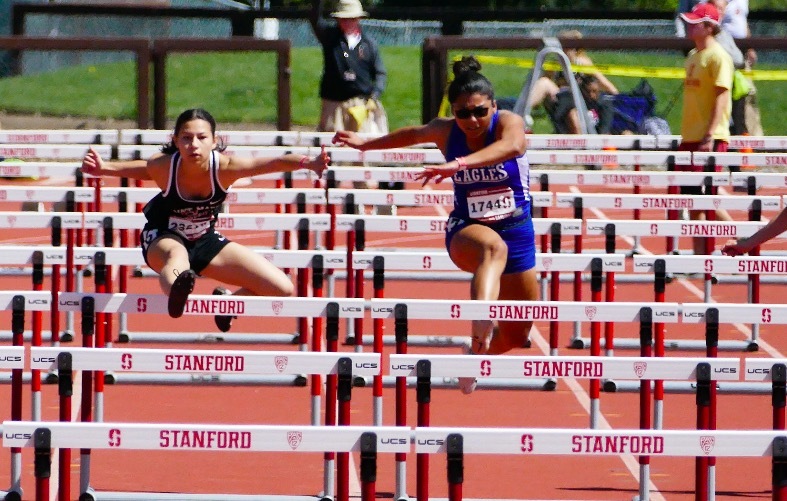 Other notable performances at Stanford included Sophia Alexander’s 3rd place finish in the girls 100 (12.09) and Di’Niko Bates’ PR 15.67 in the 110m hurdles. 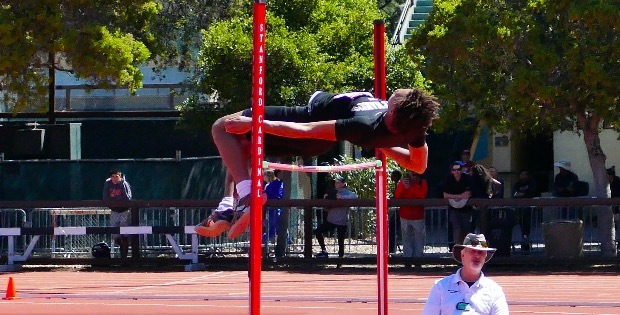 Also on Saturday, athletes traveled to Castro Valley for the Castro Valley Relays where several outstanding performances were turned in. 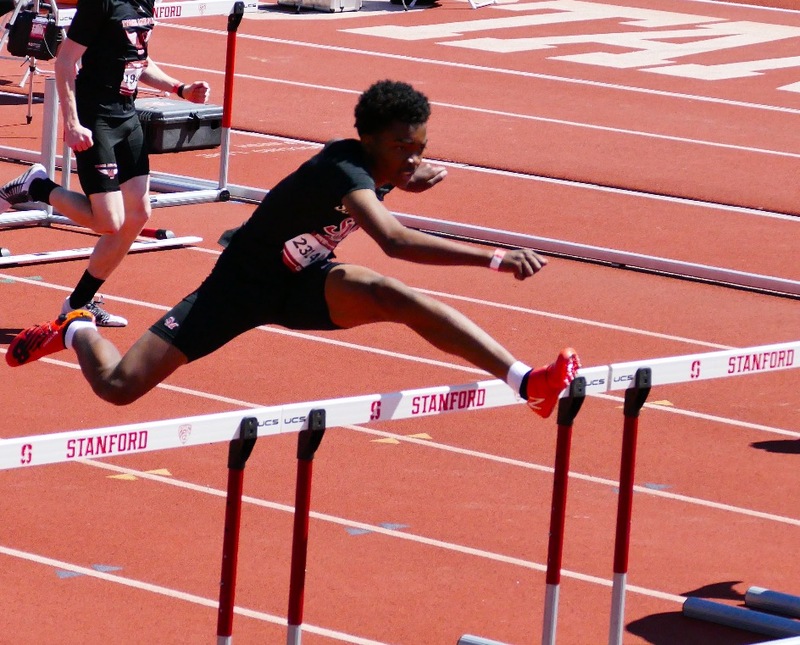 Super sophomore Ka’Lib Copes continued his stellar season with huge wins in the open 100 (11.26) and 300 hurdles (40.94). The boys DMR team (Riley Hartney, Copes, Jeffrey Norris, Zax Lieske) won easily… as did the boys 4 x 800. Other boys winners were freshmen Amir Cross (HJ) and Sonny Buckner (TJ). For the girls at Castro Valley, “dominance” was the only way to describe it. 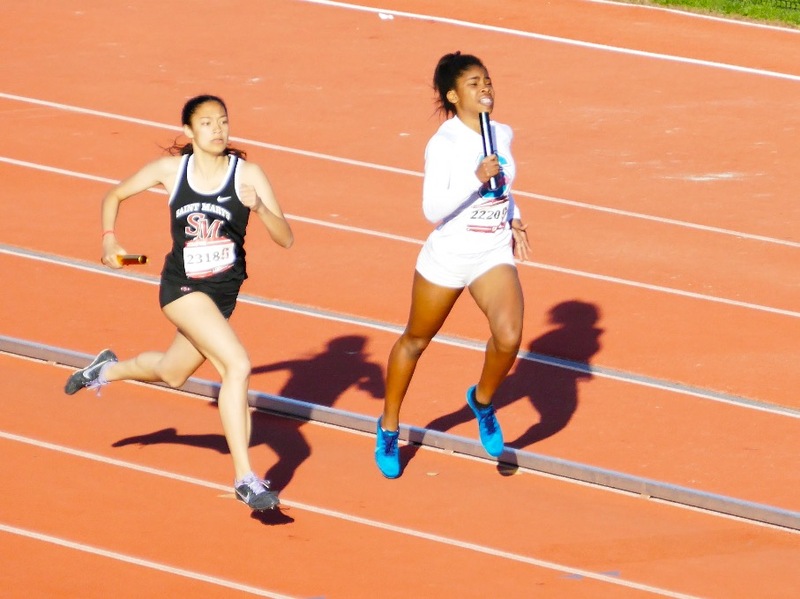 Lydia Howard (LJ), Simone Rogers (HJ), Anela Thomas (TJ), Najah Williams (100), Erika Narbley (SP), and the 4 x 100 and Sprint Medley teams were all winners. Lastly, the frosh-soph girls took home the team title while the boys were runner-ups at Castro Valley.